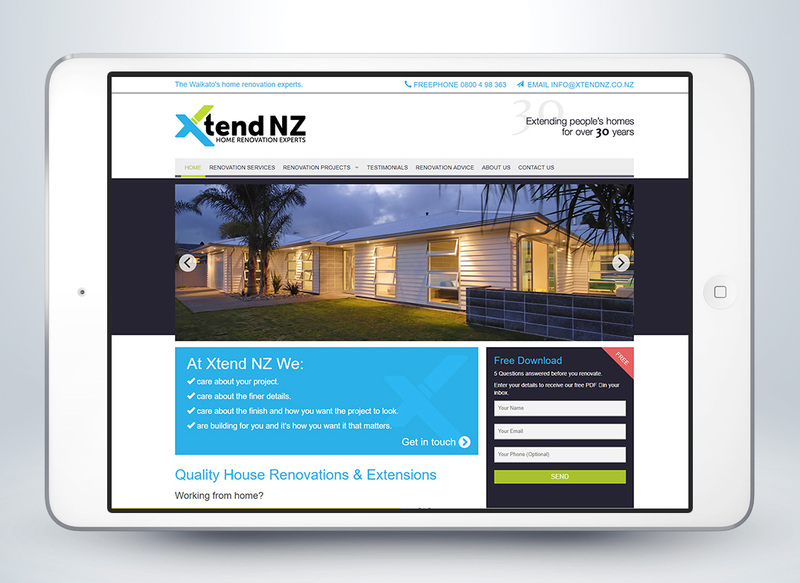 Our creative brief to design a brand and identity that would convey Xtend NZ’s premium build quality and extensive renovation experience. We worked directly with Xtend’s owner to create a visual identity that suits the high quality offerings to the high end residential renovation market. We built on an earlier version of Xtend’s logo by ‘extending’ the original X icon and this formed the basis of the logo. The end result is bold and highly recognisable, and is followed with a robust and responsive website that ranks exceptionally in search engine results.